Tempe, Ariz. • As a former defensive line coach, Utah coach Kyle Whittingham was much more disappointed with his team’s inability to stop Arizona State’s running game than with a secondary that was shredded by ASU quarterback Manny Wilkins and his receivers. Whittingham did say the pass coverage “wasn’t anything to write home about” in a 38-20 loss, and his strategy at the end of the first half said enough about his trust of the secondary. Whittingham could have had Matt Gay, the reigning Lou Groza Award winner, try a 60-yard field goal. Instead, he ordered a punt. If Gay had missed, the Sun Devils would have taken over at their 42-yard line with about 25 seconds remaining. Whittingham cited a slight wind against Gay — 3 mph at kickoff, according to the game book — and ASU’s offensive capability for his decision. That’s hardly an expression in confidence in a Ute secondary that went into the season with a goal of being regarded as the best group in school history. Utah’s defense played better in the third quarter, with safety Marquise Blair returning from a first-half targeting suspension and cornerback Jaylon Johnson making his third interception of the season. 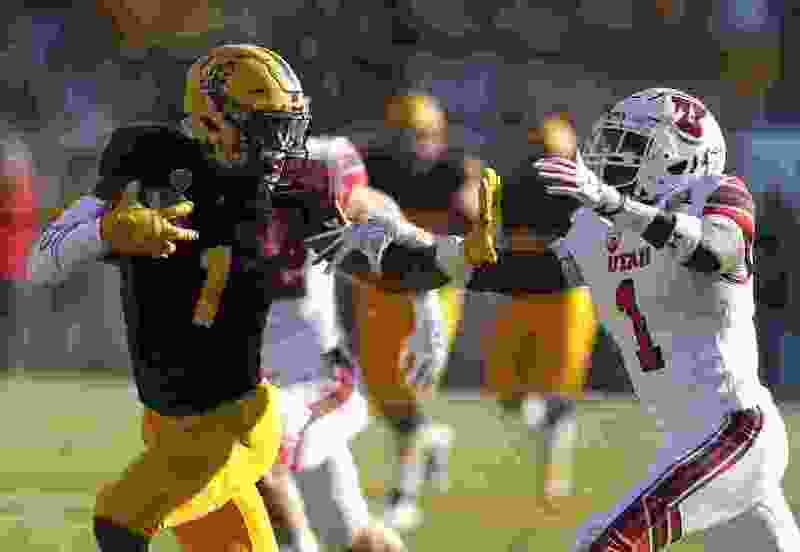 But the secondary relapsed, giving up Wilkins’ 61-yard touchdown pass to N’Keal Harry on the first play of the fourth quarter, and the Sun Devils posted 205 total yards in the fourth period. Whittingham has praised his secondary’s No. 1 ranking in the Pac-12 in pass efficiency defense, but these numbers won’t help: Wilkins finished 19 of 24 for 285 yards and three touchdowns, all to Harry. Considered an NFL first-round draft pick, Harry caught nine passes for 161 yards. Brandon Aiyuk added six receptions for 101 yards. Julian Blackmon, Utah’s other cornerback, had a chance for an interception late in the first half, but he managed only to deflect the pass and ASU completed a touchdown drive for a 21-17 lead. That play could have extended the Utes’ momentum, after they had rallied from being down 14-0. Ute cornerbacks coach Sharreiff Shah went into the game knowing Harry would make his share of catches. “You just hope they’re not back-breaking plays, game-changing plays,” Shah had said. But that’s what exactly what Harry delivered.